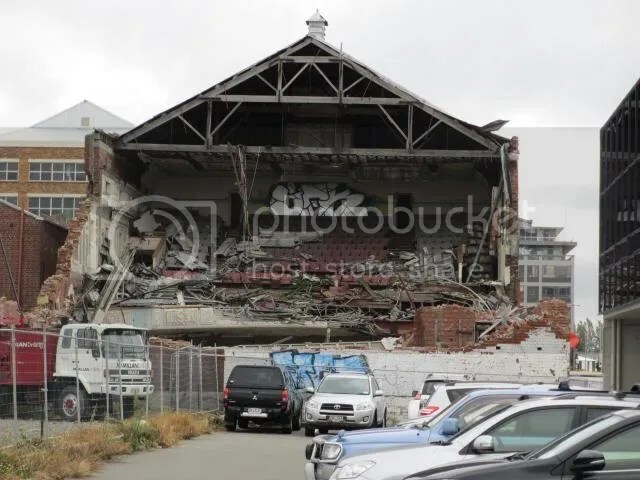 As we were saying out final farewells, it was a time to drive around and remind ourselves that though Christchurch has come a long way in the three years since the big quake, there is still so much to do. 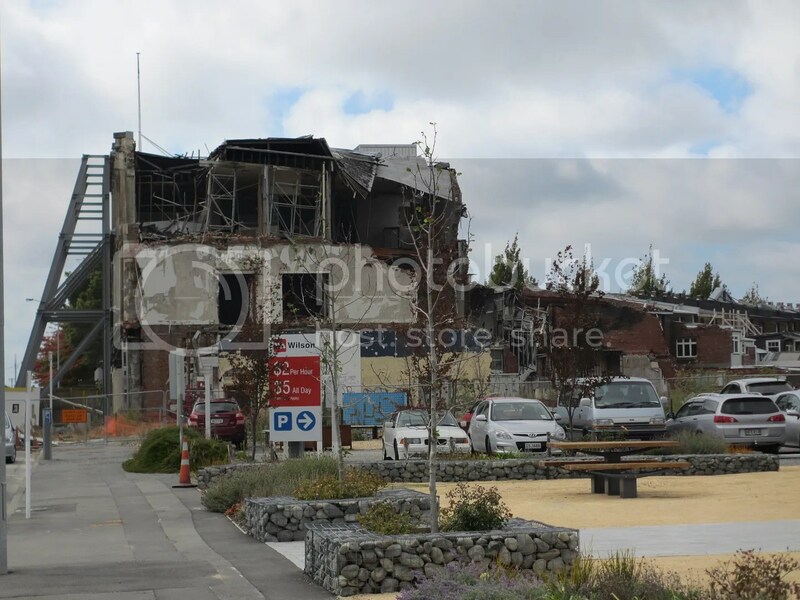 This is what’s left of the Cathedral in Cathedral Square. 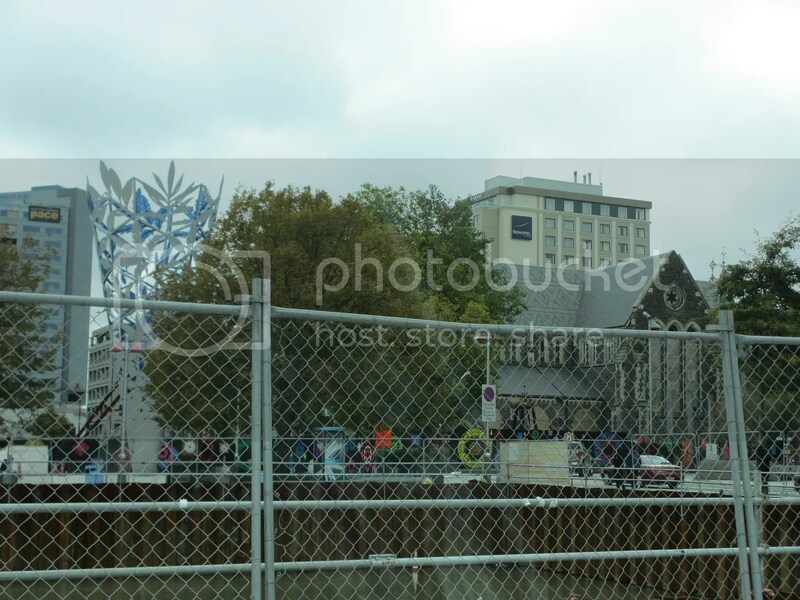 Still fenced off from the public. But there has been beauty to be found as well. 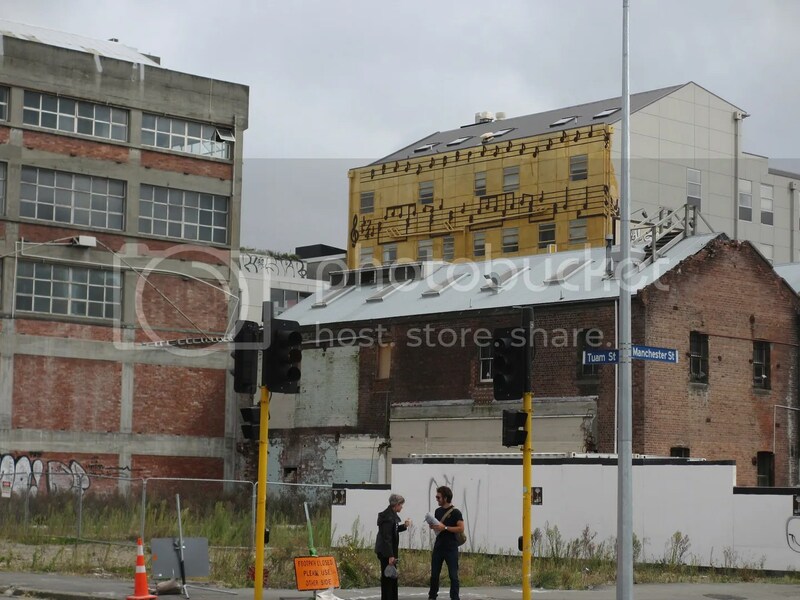 And the spirit of the city is strong, and recovery is happening. Before we flew out of Christchurch and on to the next adventure, we stopped of for a final lunch with those nearest and dearest to us. Because I can, here is the sausage roll that D had for lunch. It was listed as a sausage roll, but I still maintain that it was actually a meatloaf wrapped in pastry! 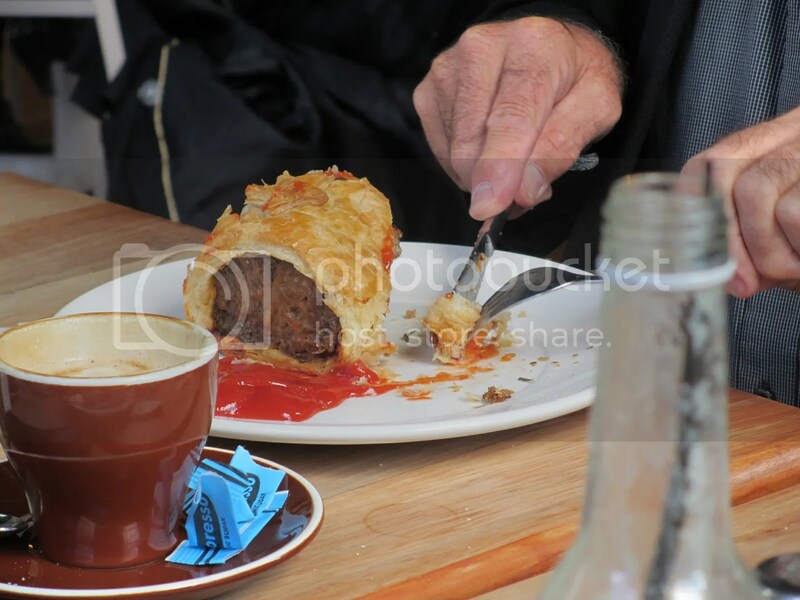 That sausage roll does look quite a bit more like meatloaf-in-pastry than any sausage roll I’ve ever seen! Enormous! There has been a lot of work done, it’s just that most of it has been infrastructure below ground. 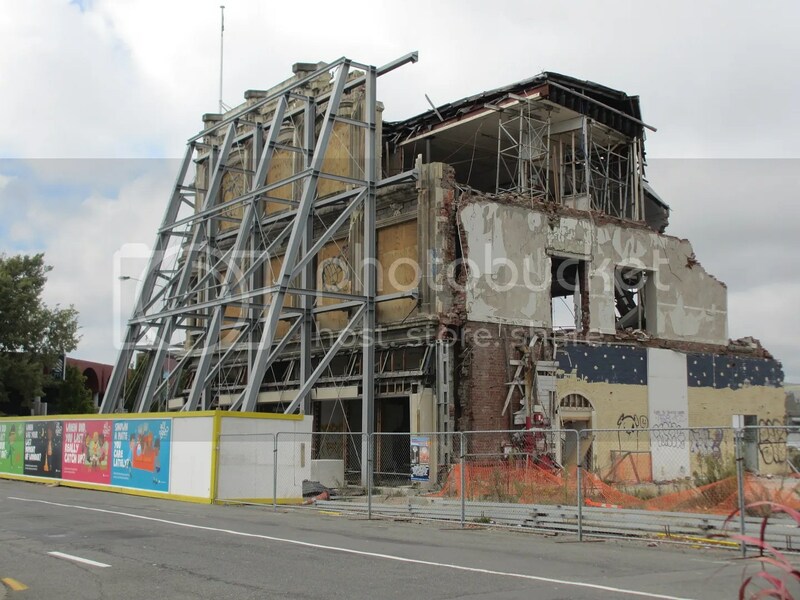 Apparently the new building will be commencing shortly. 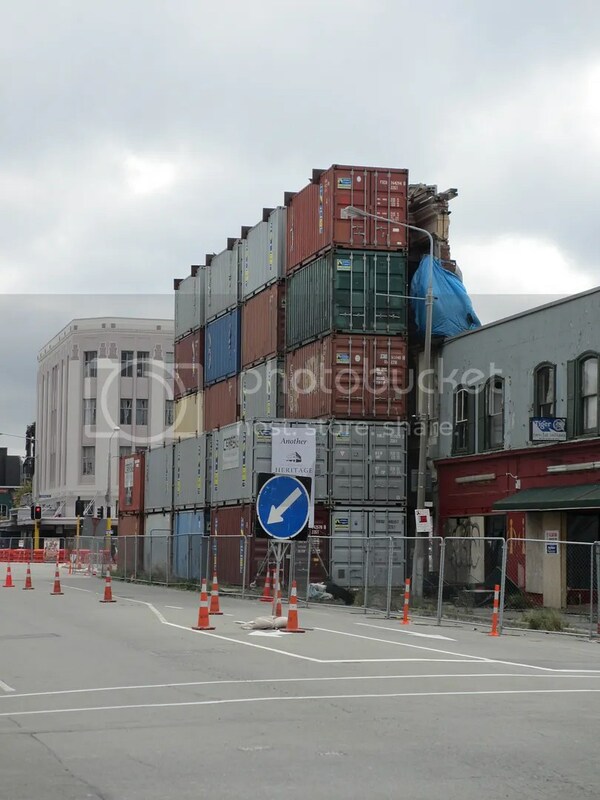 But I love the way they ingeniously held up all the heritage fronts of the buildings with the shipping containers!